Mercia 8 x 6 Overlap Pent Shed Single Door: The Mercia overlap garden shed is an affordable pent shed in a classic design, great for those with a smaller garden space. 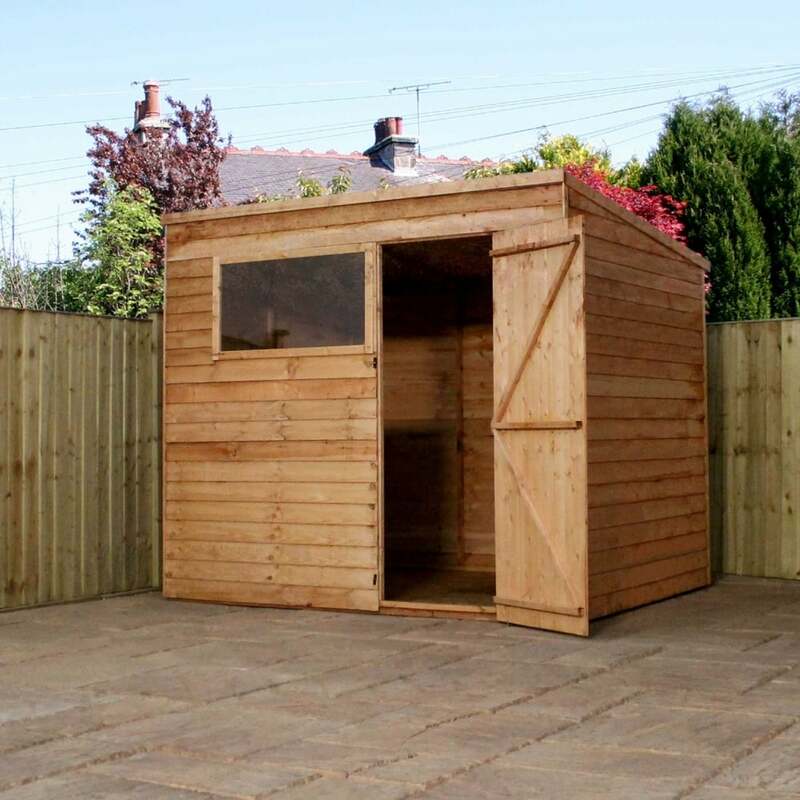 The 8 x 6 Mercia shed roof and floor are crafted from durable sheet material that is ideal for storing garden tools and equipment. The Mercia pent shed features fixed styrene glazed windows, a safer alternative to traditional glass to provide natural light to shine through. The 8 x 6 Mercia shed includes a 10 year manufacturer’s warranty against rot and is delivered flat packed for easy self-assembly. Please note: Images are dressed and painted for display purposes only - accessories not included. All buildings are supplied in kit form for self-assembly. All listed metric dimensions include the roof overhang.